Interested in creating a dating site for black women and people who love black women? Then send us a message in chat so we can help you with that. I Love Black Women is a dating site for Black Women and the men who love Black Women. In a perfect world race wouldn’t matter. Some men of ethnic backgrounds other than African/African American may not know if these lovely ladies are open to dating them. 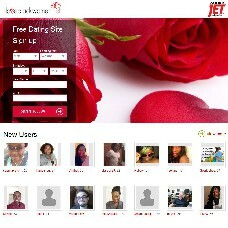 iloveblackwomen.net answers that question by allowing the ladies to state what ethnicity they are open to dating. I Love Black Women is not run by a big company — it is solely run by Anthony Robinson, a regular guy with a regular job.